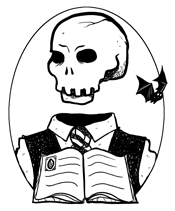 Our 4th Halloween episode, this time we have fiction from Orrin Grey & Ambrose Bierce. In addition we look at the life of clairvoyant Marinus B. Dykshoorn. Marinus B. Dykshoorn, passed away last month. He was believed to have gift from a very early age that went beyond clairvoyance. At his funeral guests came forth with stories of his miraculous healing powers, powers he’d expressly asked them not to reveal. Dykshoorn also assisted police with various investigations and unearth buried treasure, but through it all he chose to keep a relatively low profile. 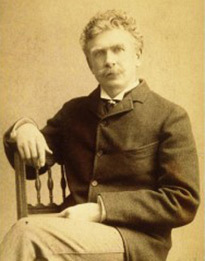 Ambrose Bierce was born in Ohio in 1842. No one is quite sure when he died or what became of him. It’s theorized he died in 1914 or 1915 before a firing squad loyal to Poncho Villa’s army, but there are conflicting reports. Between Ohio and a shallow grave in Mexico, Bierce fought for the North in the Civil War, rose through the ranks, suffered a head wound, distinguished himself repeatedly by serving three tours and returning to his brigade after his injury. He was granted the honorary title of brevet major for his service. After the military, he worked in journalism, and in 1871 at the age of 29, his first short story was published. After a stint in England, and a brief period working as an agent tasked with fighting off thieves attempting to rob mining company shipments, he settled in the San Francisco area. Here he returned to magazine work. It’s during this time Bierce begins the penning the satirical definitions that would later become his most famous work, The Devils Dictionary. Several books follow, many of which include supernatural tales that have gone on to become classics and continue to exert their influence. In 1913 he crosses into Mexico and that’s about the last thing any one is sure of. This isn’t near all the interesting bits of Ambrose Bierce’s life, remarkable as it may sound. He was a character of history, beyond his literary contributions to both satire and the weird tale. I’ll end with a quote from the man. I read a short vignette by Bierce called “John Mortonson’s Funeral,” first Published in 1906. Orrin Grey, (pictured at the left) is a rising talent in the realm of supernatural horror. His appearances in the anthologies Bound For Evil, Historical Lovecraft, The Mothman Files, Candle In The Attic Window and others earned him his first collection of short stories. Never Bet The Devil and Other Warnings, is due in the first quarter of 2012 from Evil Eye Books. Grey will be co-editing his first anthology next year, not yet titled, the collection will focus on fungal monsters.